London: Methuen & Co, 1930. 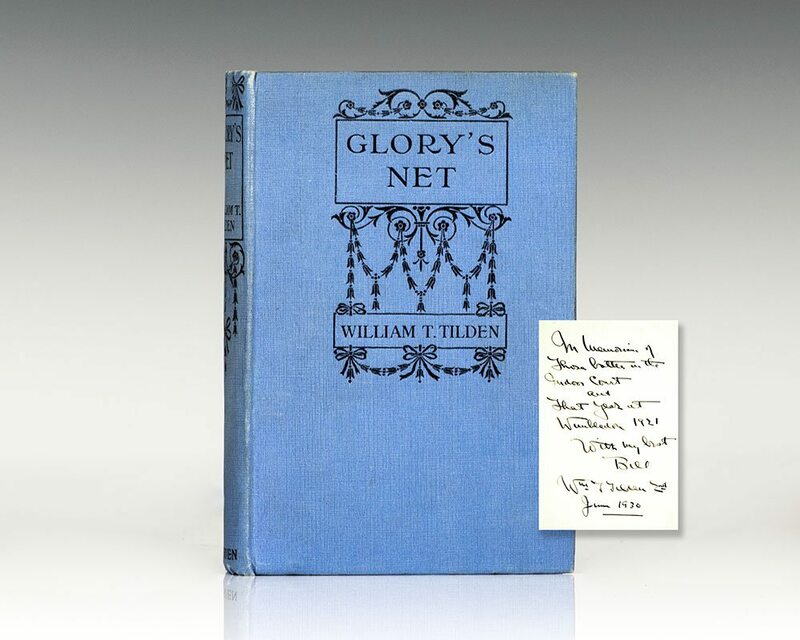 First edition of this novel by the first American tennis player to win Wimbledon. Octavo, original cloth. 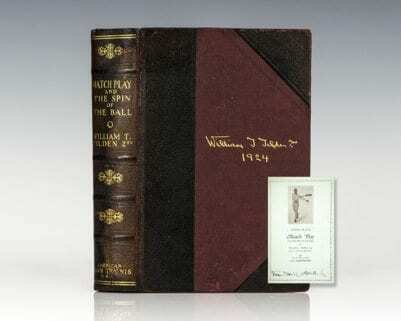 Inscribed by the author in the year of publication, “In memoriam of those battles in the indoor court and that year at Wimbledon 1921, With my best, Bill, Wm. J. Tilden 2nd, June 1930.” In very good condition.